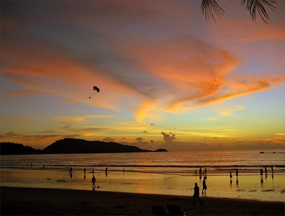 Usually called the Pearl of Thailand, Phuket Island is surrounded by the Andaman Sea’s crystal clear waters which maintain 28 to 30 °C all year round. This makes it the ideal spot to discover the widest range of coral species in the world, with divers coming from all over the planet to explore dive sites like the Similan Islands, located north of Phuket, which are among the 10 best diving destination in the world. 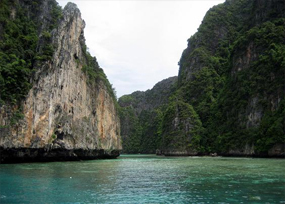 The variety of the diving sites in Phuket allows visitors to dive all year round even during the rainiest months of the low season; some protected spots have optimum conditions and offer a visibility usually ranging over 15 meters. The Island of Phuket offers a wide range of diving activities; either on a daily basis or try one of the short live-aboard cruises. 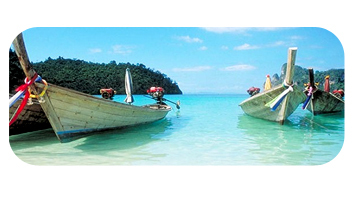 You will love the Thai hospitality and feel the real meaning of the words "Recreational Diving". Come diving with us, and you’ll be fully taken care of, the only thing you have to do is to open you eyes and enjoy the show.